Santa’s nearly here and we’re hoping to help him this year. What’s on your Christmas wish list? For a lot of people, it’s a new smile. La Vita Dental Centre is proud to offer cosmetic dentistry right in the heart of Kits. 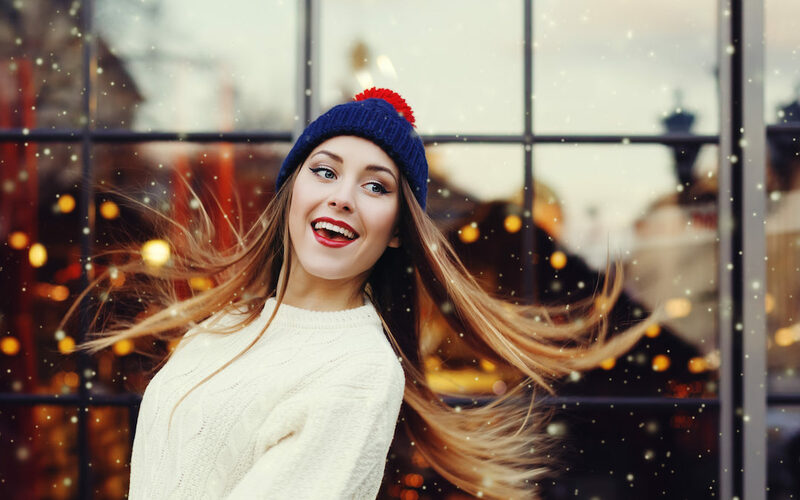 Whether you’re self-conscious at the office Christmas party or your sister’s intimate soiree, you know that your smile can use some work. Come into our Kitsilano office and we’d be happy to chat about how we can help you. In the meantime, we’ve got some helpful tips to consider that can help fight gum disease, cavities, and generally help with your smile. Quit smoking. Year after year you’ve probably tried. You’re tired of standing out in the cold and taking the hit to your wallet. You also know that it can stain your teeth and substantially increase your chances of gum disease and oral cancer. Maybe this is the year you take the steps to finally kick the habit. A first step may be to consult your Kits dentist about cosmetic dentistry options to help with the years of discolouration. Quit coffee. Mondays are tough. Morning staff meetings are worse. We know coffee can be your only salvation from the weekly onslaught but you can switch to other pick-me-ups that are less harmful to your smile. Coffee contains phosphorous that depletes the calcium that strengthens the enamel of your teeth. Years of drinking coffee may have already yellowed your teeth. Now’s the time to switch to alternatives and to think about whitening options. La Vita dental provides comprehensive cosmetic dentistry to Kits’ coffee addicts. Quit sweets. Treats are going to be everywhere during the holidays. From sweet desserts and candy canes to pop and cocktails, take everything in moderation. Too much sugar and sweets increase the risk of cavities and gum disease. Bring travel sized toothpaste and a travel size toothbrush so you can brush after particularly decadent holiday get-togethers. Quit complaining. While bad habits may have added up, there’s hope! Schedule an appointment today and let’s chat about how we can give you the present of the smile you’ve always wished for. Contact La Vita Dental Centre for cosmetic dentistry right in the heart of Kits!